The original Rare Ltd. team behind “Viva Piñata” has reunited to bring gamers “Viva Piñata: Trouble in Paradise,” the newest piñata adventure that invites gamers to return to magical Piñata Island. Unfortunately, not all is well on the island, as Professor Pester along with his gang of Ruffians have wiped out Piñata Central’s computer records, which poses a threat to parties everywhere. To help Piñata Central, players must gradually rebuild the computer database by sending piñatas at full candiosity to parties all around the world. While thwarting Professor Pester’s evil plot, players still build and maintain piñata gardens — using their creativity and imagination to attract, trap, protect, train and manage more than 100 different piñata species. 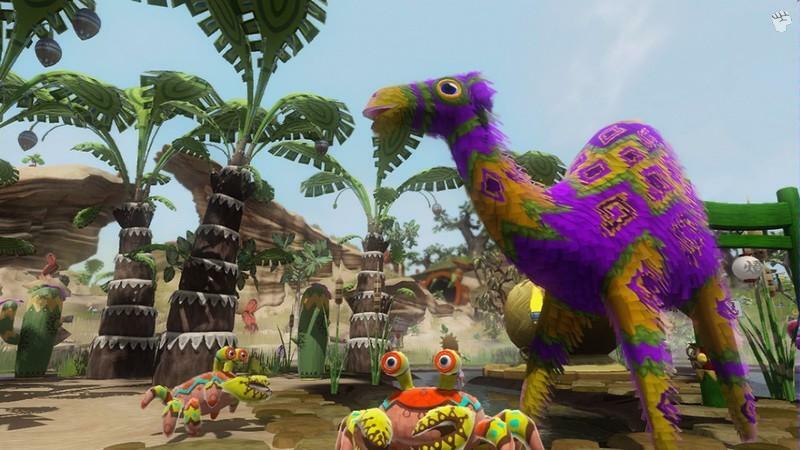 The sequel to one of the most original and addictive games for the XBox 360 returns in Viva Piñata: Trouble in Paradise which allows you to create exotic gardens in order to entice a variety of different species of Piñata. Match that with a variety of different gaming objectives, an improved gaming interface with graphics that goes beyond the original which will appease existing fans and draw in a variety of new ones. The title also features a great online mode that allows gamers to play against three other people (four in total) or a local online version for two players. 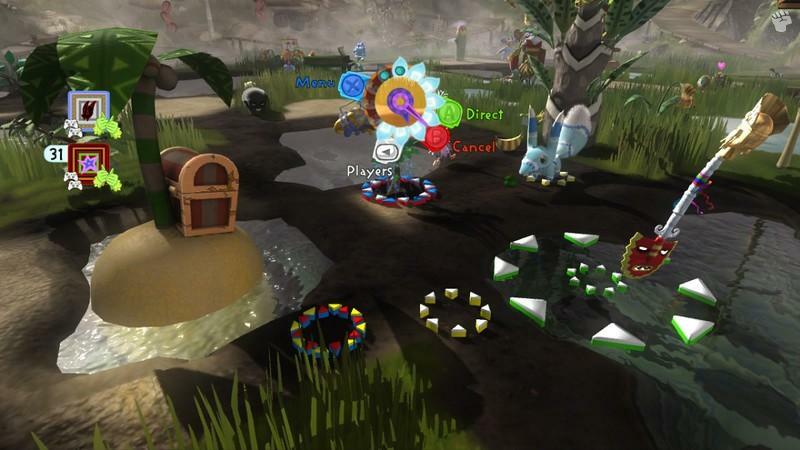 The developers have created a true sense of community spirit which does give the player some ownership of this gaming universe as they interact with their creations and achievements with other Viva Piñata lovers. Another new addition to the franchise is the "Just for fun mode" that basically takes the worry about "money" from the game which allows you to create some of the most wonderful and in-depth gardens possible thanks to an unlimited supply of resources. 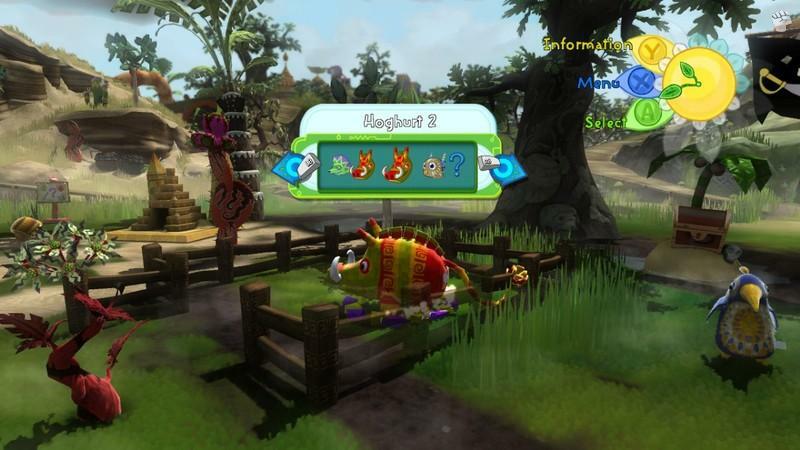 The only catch to this mode, although thoroughly entertaining is that Achievements are off-limits, however it is a small price to pay to create your most exotic gardens filled with a plethora of different Piñatas. It's also a great option for those learning the ropes of the game, however it does take the majority of challenges away from the title. Available exclusively on Xbox 360, “Viva Piñata: Trouble in Paradise” reinvigorates a colorful and engaging gaming experience on the Xbox 360 platform. Now with full cooperative and online gameplay modes, the “Viva Piñata” franchise opens its doors even wider with a new game that provides hours of fun for gamers of all ages, fans of the animated series and animal lovers alike. With over 32 new new species of piñatas that can fly, crawl, fun and swim, it really adds some unique strategies into the title as you battle for supremacy in your garden in this family-friendly strategy game. Graphically, the title is quite colourful and looks like a Saturday morning cartoon gone crazy with its psychedelic colours, over the top characters and some great animation. The environments are quite detailed and there is quite a large amount of attention to detail. Visually, the title is far more impressive than its predecessor. Match that with a great ambient and interesting soundtrack with some cute and sometimes disturbing sound effects from the Piñatas plus a good number of background sounds and this title is a rather well made game. 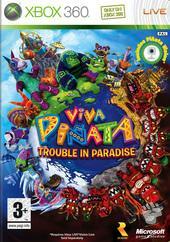 In conclusion, Viva Piñata: Trouble in Paradise is an interesting and unique game that goes above and beyond the original title with improved gameplay and graphics. Definitely suitable for a wide range of ages, Viva Piñata: Trouble in Paradise is one of those games that although it may not capture you from the start, however with some perseverance, it eventually becomes one of those games you cannot put down.